Every week during the summer months, visitors to Lenox can bring an empty grocery bag to the town’s long-running outdoor farmers market, and walk away brimming with the bounty of the Berkshires. 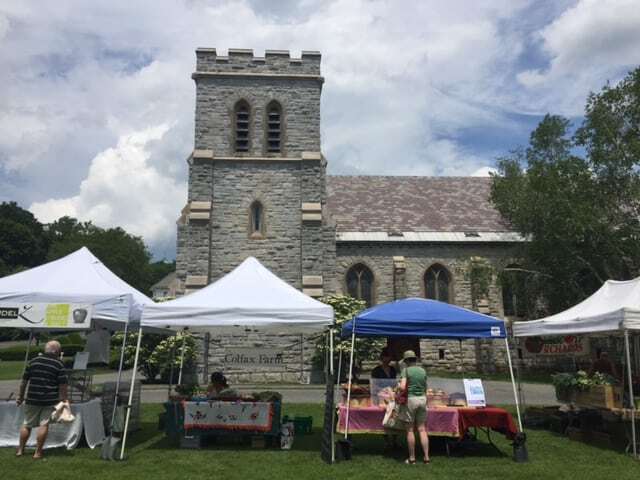 The Lenox Farmers Market has resided in a few different locales in Lenox over the years, including the center village’s Triangle Park and the grounds at Shakespeare & Company on Kemble Street. It has continued to grow and diversify with each season, however, and this year it appears every Friday afternoon on the spacious grounds of Saint Ann’s Church on Main Street. Kameron Spaulding, director of the Lenox Chamber of Commerce, said it’s a formidable location for this summertime favorite: the largest church in town, St Ann’s stone façade – completed in 1870 – looms over Main Street and includes a considerably large front lawn. Spaulding noted that the Lenox Farmers Market features a rotating slate of more than 20 booths, and boasts a strong showing of locally grown plants and produce in addition to specialty foods, soaps and sundries, and a selection of hand-made crafts and jewelry from across the Northeast. Some local favorites of the farmers market include the award-winning cheeses of Cricket Creek, a grass-based dairy farm in Williamstown, Mass. ; sourdough loaves from Berkshire Mountain Bakery, based in Pittsfield; fresh fruits and vegetables from Taft Farms of Great Barrington – including heirloom tomatoes, Japanese Eggplant, and Bok Choi – and pesticide-free and in-season produce from Colfax Farm of West Stockbridge, Mass. And that’s not to forget the vendors who hail directly from Lenox, such as Mary’s Kitchen, which creates multi-layer homemade cakes from scratch and sells them both whole and by-the-slice; Berkshire Mountain Gourmet and its selection of delectable olive oils and vinegars, and Conscious Threads, the clothing company with a mission to provide cool, comfortable clothes that promote awareness. 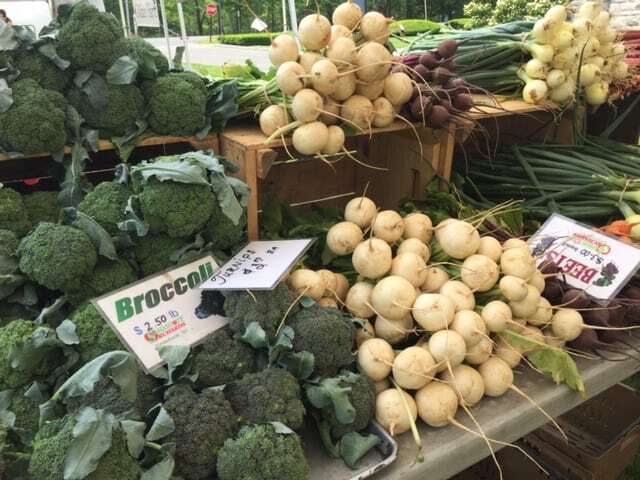 The Lenox Farmers Market is open from 12:30 to 4:30 on Friday afternoons. In the event the church grounds are occupied for another event, the market moves to Roche Reading Park adjacent to the Lenox Town Library, also on Main Street. 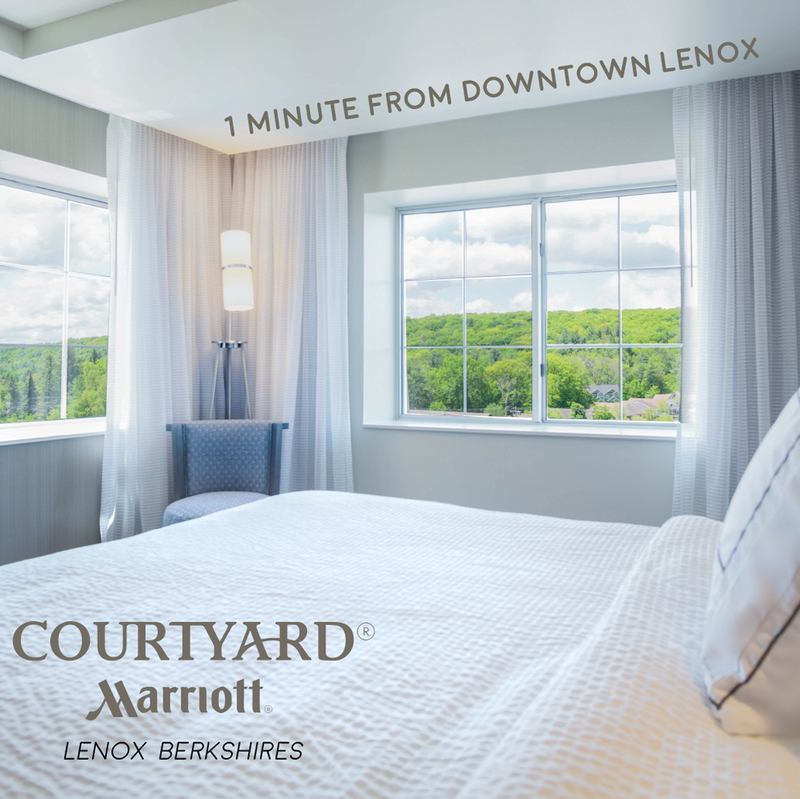 For more information, stop by the new Lenox Visitors Center at 4 Housatonic Street, e-mail info@lenox.org, or call (413) 637-3646.